Love it! Clever and great story with the picture. When I was a kid on the farm people used these to protect their laying hens from hawks. Guineafowl will counterattack if the see the hawk come in. They will also encircle snakes, weasels and other pests and kill them. 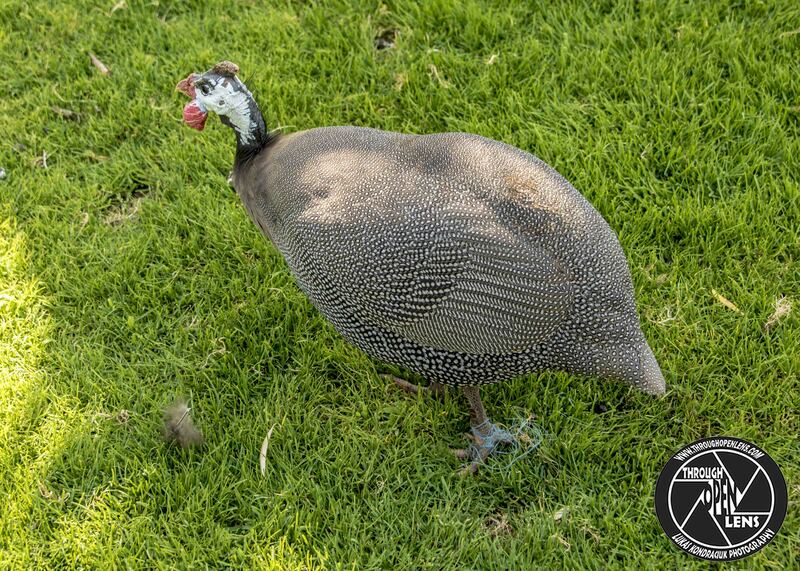 The guinea fowl which come into my garden aren’t that clever! What a funny title! Thanks for the LOL moment. Thanks for adding a bit of laughter to my morning – this is great, as per usual! One of these things lives in my neighborhood. Been there for years even with cats and dogs running around. Must be a tough bird. Very eccentric and unique member of the natural world.